During the peak of the fur trade this street bustled with activity. Each July and August Indians, traders, and trappers by the thousands came here with furs from throughout the Northwest. In 1817 John Jacob Astor’s American Fur Company located its headquarters here. 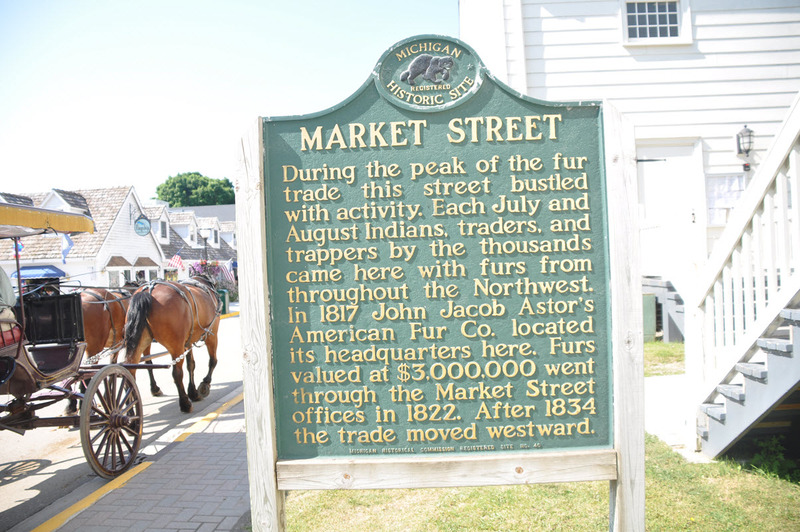 Furs valued at $3 million went through the Market Street offices in 1822. After 1834 the trade moved westward.